Yesterday, I decided to have a cookout out at my house for a bunch of friends. We used two different methods to cook the meat for the cookout. 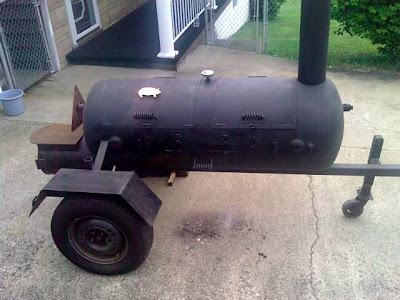 We used my smoker that my dad had built in August of 2002 to make smoked whole chickens and beef brisket. In the bottom photo, we did four racks of Western Spare Ribs and two boneless pork loins in the La Caja China. 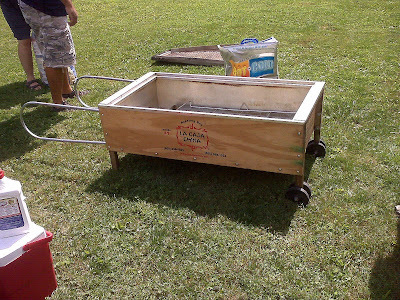 This method is completed by putting the meat inside of the box with hot coals on top. I was also excited about using my new cast iron set to cook various side dishes on my grill as well. It was a good time had by all.